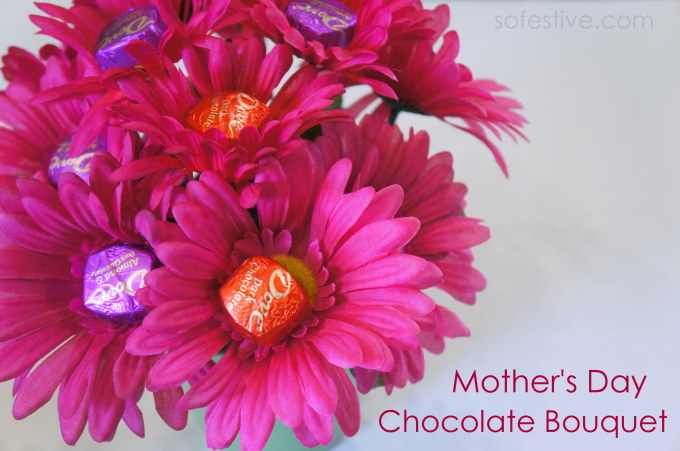 Mother's Day Chocolate Bouquet for Kids - So Festive! Mother’s Day is just a couple days away. If you’re still needing a quick idea for any Moms or Grandmas in your life, this is a great one. 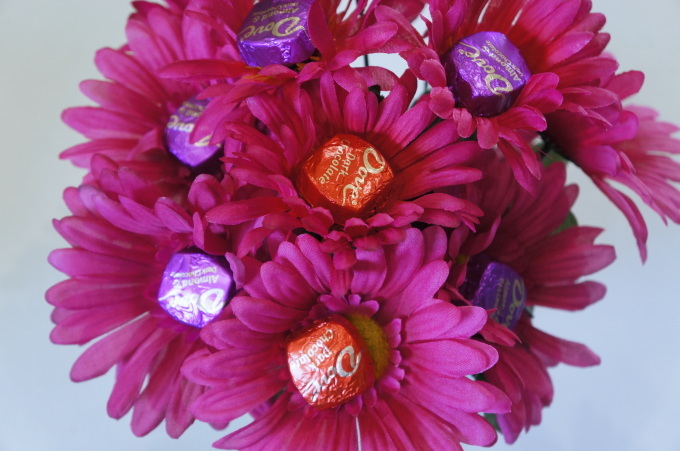 What woman doesn’t love chocolates and flowers?? 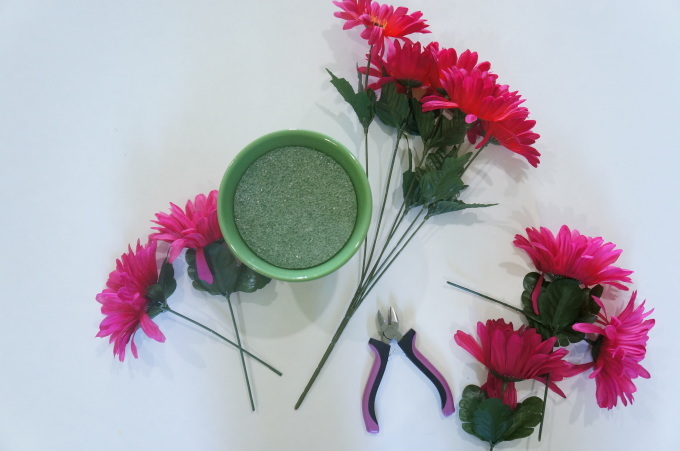 Cut all the stems apart so you have individual flowers. 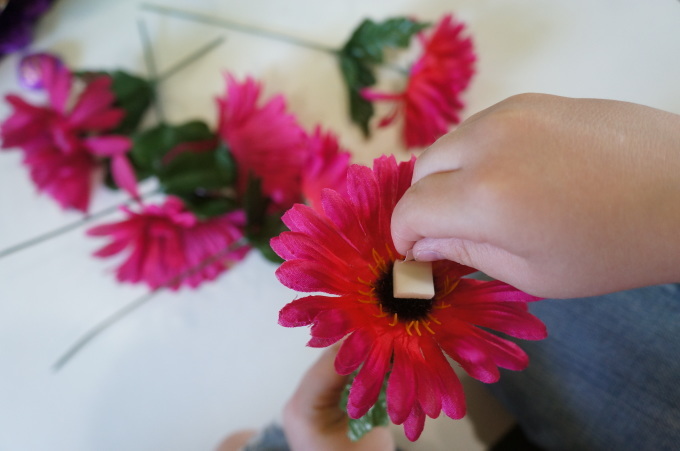 Stick a foam square in the center of the flower. Stick the chocolate to the foam square. Ta da! 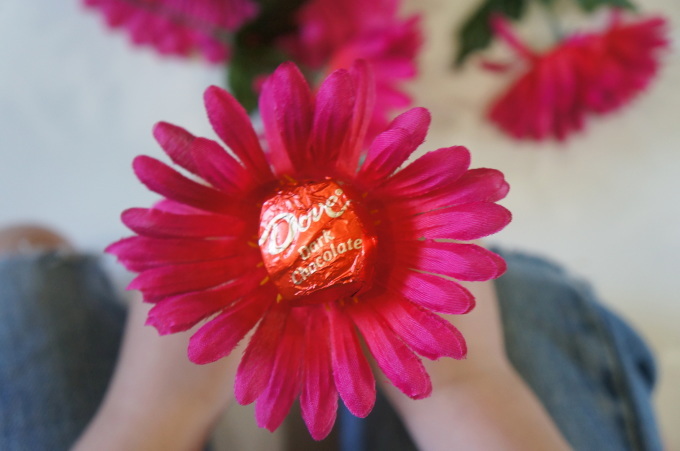 you have a chocolate flower! Arrange the flowers in the styrofoam in your pot. 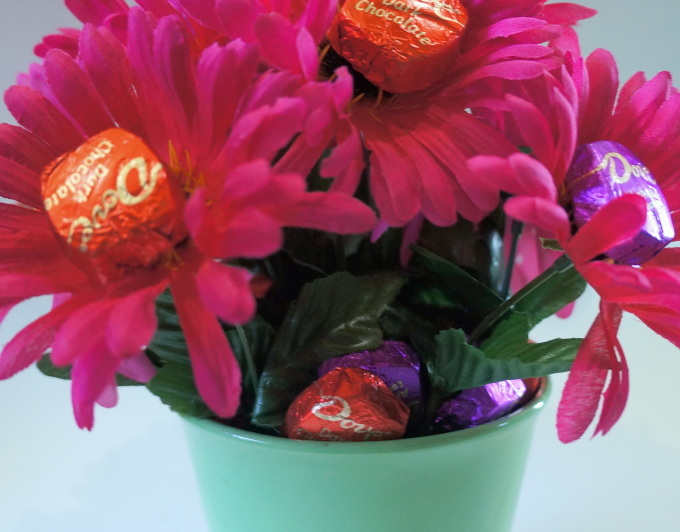 Add more chocolates in the pot to cover any remaining styrofoam that the flowers didn’t cover. Plus more chocolates for Mom! This little gift comes together really fast and it will be the perfect, last-minute, gift for any Mom in your life. 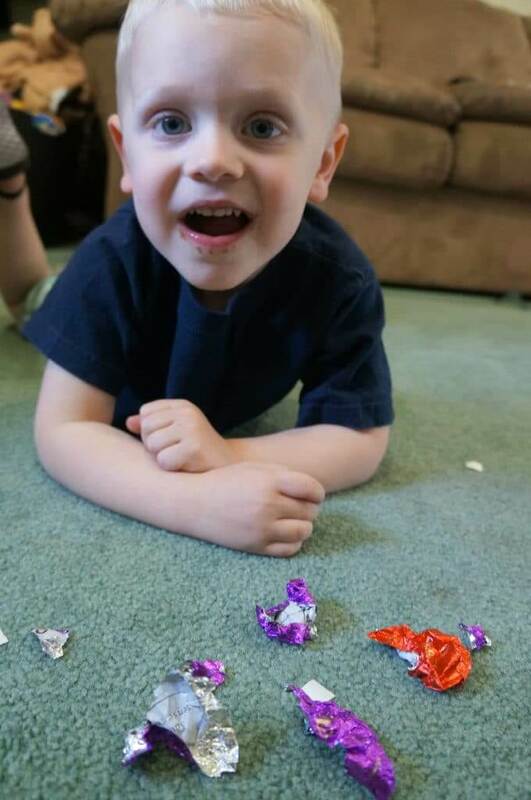 It’s also easy enough my two year old was able to help make it, so good luck and Happy Mother’s Day! 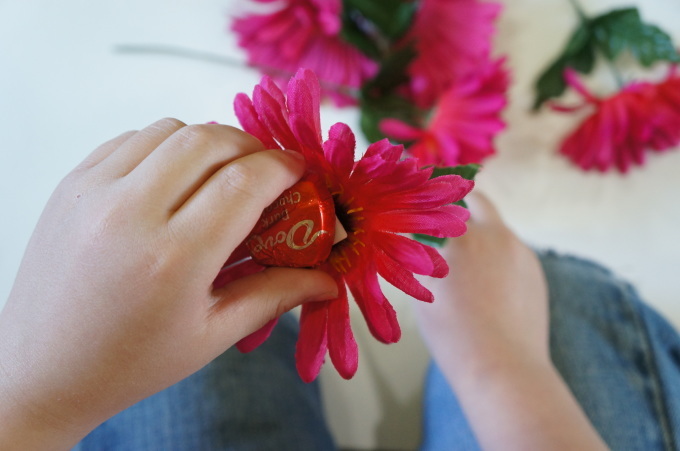 Click below for more Festive Ideas for Kids! *So Festive for Kids is a series contributed by Andrea, a creative mom to 3 boys who always has a fun idea for the little ones. All photos and ideas are original to her.